Other herbs selected from unique sources. 1. Green+ symbolizes a blend that combines the benefits of Green tea with Herbs, and enriches the taste with complimentary herbs. Unlike bitter taste associated with Green tea, these teas are not bitter, and have good taste. SlimG+ is a blend of Green tea, Garcinia Cambogia, Cinnamon, Ginger, Coleus and Lemongrass. Garcinia Cambogia is a small, acidic/sweet tropical tree fruit that contains a biologically active ingredient called hydroxycitic acid (HCA) that has been found in research studies to have some effect on hunger and fat storage. 3. Cinnamon is one of the most delicious and healthiest spices on the planet. It can lower blood sugar levels, burn fat, reduce heart disease risk factors, and has a plethora of other impressive health benefits. We use Vietnam Cinnamon which is considered to be of highest quality having good aroma and taste. Ginger is an aromatic, spicy root that has long been used in both traditional and Western healing systems to make tea. Ginger tea brings with it a host of powerful health benefits e.g. relieves nausea, digestation, weight reduction, inflammation, blood circulation and body immunity. 4. Coleus forskohlii stimulates the production of a molecule called cyclic AMP (cAMP). In our body, that help increasing an enzyme called hormone sensitive lipase. This is a fat burning enzyme. The cAMP also seems to stimulate the release of thyroid hormone which also helps burn fat and calories. 5. Green tea used is from a prestigous tea estate in upper Assam region having strong taste and nice aroma. Whole leaf Superfine quality of Green tea is used in loose packs, and Fanning grade Green tea is used in teabags. "Green tea lowers BP and helps in digestion. It prevents tooth cavities and bad breath. Stress relieving, anti-bacterial, immunity booster against cancer and other diseases. Green tea also ontrols bad cholesterol and artery clogging. Garcinia Cambogia is a small, acidic/sweet tropical tree fruit that contains a biologically active ingredient called hydroxycitic acid (HCA) that has been found in research studies to have some effect on hunger and fat storage. Cinnamon is one of the most delicious and healthiest spices on the planet. It can lower blood sugar levels, burn fat, reduce heart disease risk factors, and has a plethora of other impressive health benefits. We use Vietnam Cinnamon which is considered to be of highest quality having good aroma and taste. Ginger is an aromatic, spicy root that has long been used in both traditional and Western healing systems to make tea. Ginger tea brings with it a host of powerful health benefits e.g. relieves nausea, digestation, weight reduction, inflammation, blood circulation and body immunity. Coleus forskohlii stimulates the production of a molecule called cyclic AMP (cAMP). In our body, that help increasing an enzyme called hormone sensitive lipase. This is a fat burning enzyme. The cAMP also seems to stimulate the release of thyroid hormone which also helps burn fat and calories. Lemongrass smells like lemon, but it tastes milder and sweeter. It has many beneficial medicinal properties including analgesic, anti-inflammatory, antidepressant, antipyretic, antiseptic, antibacterial, antifungal, astringent, carminative and anti-cancer properties." Assam Superfine Whole Leaf Green Tea, Garcinia-Cambogia, Lemongrass, Cinnamon, Ginger and Coleus. There are many teas in the market by the names of Slimming, Weight Loss, Detox, Teatox, Morning Detox, Afternoon Detox, Fat Burner etc. Are all these teas same? How do we select the best tea for fat reduction? Different companies sell weight-loss products in different names based upon their perception of customer demand. They also use different ingredients in these products. You need to check the ingredients in these products. For slimming, you need to have Green tea blended with herbs like Garcinia Cambogia, Cinnamon, Ginger and Coleus. Garcinia Cambogia helps in metabolism. Cinnamon and Ginger are also popular weight loss ingredients. Coleus acts as a balancing element, and further accelerates weight loss process. SlimG+ has all these ingredients, and is best for slimming/weight loss/detox. How effective is SlimG+ tea for weight reduction? How much weight loss one can expect over a month or so? SlimG+ currently has a large user base. Based upon the feedback received, the results are quite promising if taken 3 times a day, though the weight loss data has not been quantified. Budwhite Teas Pvt Ltd manufactures this tea in it’s own brand name, and also in other brands of different companies as part of Private Labelling. A wide acceptance of SlimG+ across multiple brands also speaks of the results experienced by end users. How do you justify the quality of your products? Quality depends upon the basic quality of formulation, and the quality of individual ingredient. The overall formulation is effective in it’s intended function of weight loss. Also, the taste is slightly acidic and tea leaves a good after taste. When it comes to individual ingredients, Whole Leaf Assam Green Superfine tea from a popular tea estate in Upper Assam region is used. Superfine quality of tea leaves are best in comparison to other varieties like Fine, Lachchha, Mazdana, Hyson, Mogra, Fanning and Dust. Sri Lanka and Vietnam Cinnamon are considered to be best. We use Cinnamon from these regions. Most of our ingredients are organic. We use granules of various ingredients and avoid powder which passes through the strainer and impacts transparency. It is an expensive process to use granular ingredients. For example, when we crush 5 kg of ginger, only 1 kg of granular pieces are produced, and rest gets converted in powder form. Is there a difference in the quality of tea in loose tea pack and teabag pack? Whole leaf Superfine quality is used in loose packs, whereas Green Fanning/Dust are used for teabags. The quality of rest of the ingredients is same in loose packs as well as teabag pack. 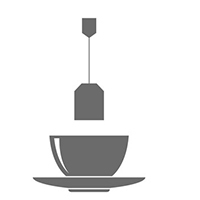 Therefore, while the quality of Green tea in teabags is slightly inferior, people prefer teabags for convenience. When should one drink tea? 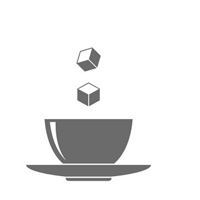 Avoid empty stomach, and just before going to bed as tea contains caffeine. 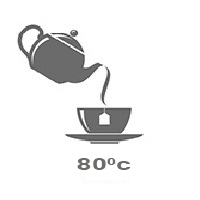 Though tea can be taken anytime during the day in small quantities, the best way is to take one hour after breakfast, lunch and dinner. It can be taken in the evening also. Can these teas be reused multiple times? ‘Whole Leaf’ teas should be reused as these open slowly, and release their extracts slowly. 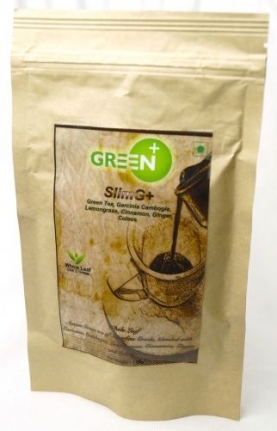 SlimG+ 100g pack uses Whole Leaf teas. 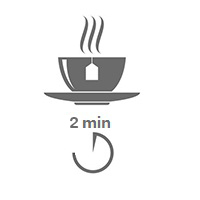 Therefore, the teas should be used two times.